Hopefully you will find some kitchen ideas that meet your own style. 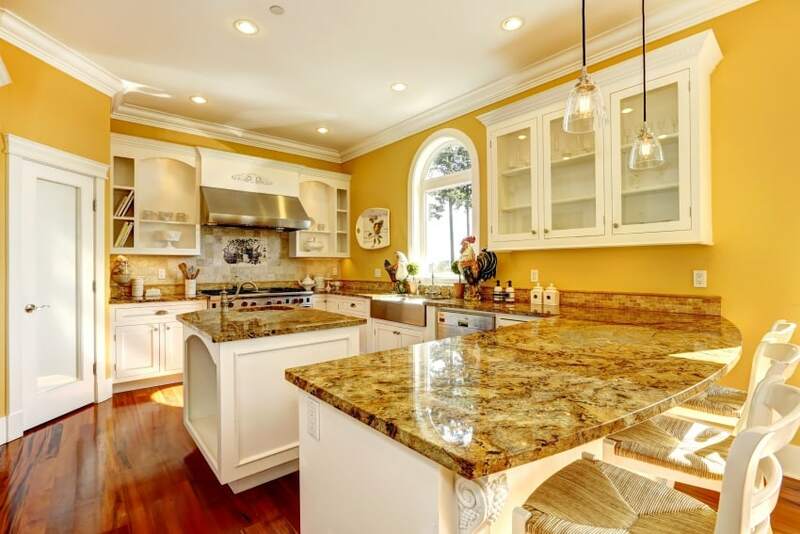 Many home owners enjoy cooking and entertaining guests simultaneously. This trend is simply removing the barrier between the guests and their host. This allows for a more interactive, fluid environment in any kitchen and dining area. 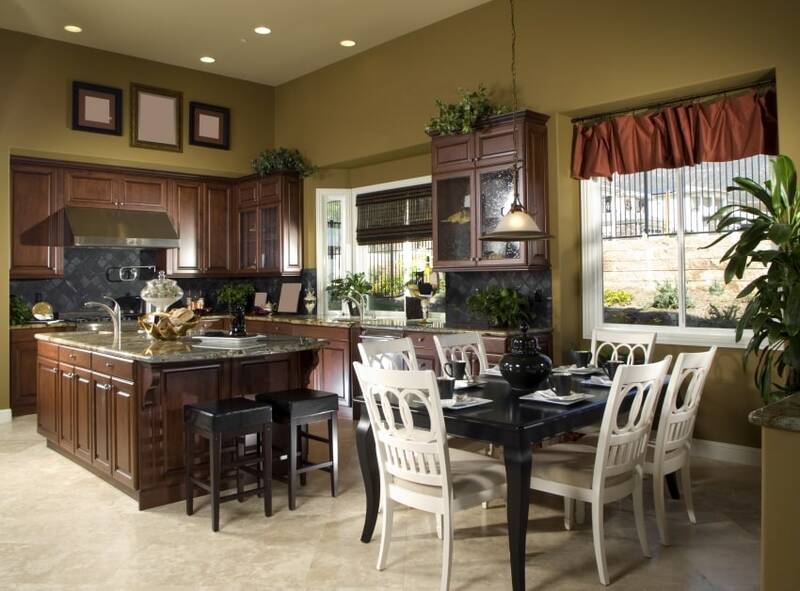 Transitional Style kitchens are an equal balance between traditional and contemporary. Using the simplicity of contemporary style, and the charm of traditional décor, the transitional style can be achieved. Due to this style’s ability to appeal to both traditional and contemporary tastes, it is a great choice for selling-point renovations. This style revolves around simplicity. Often times, this style implements light colors, organic textures, and clean lines. This achieves a feeling of serenity and simplicity, which seem to be reoccurring themes in this years’ trends. Overall, these components create an appealing contemporary look. The new trend of metallic finishes can be implemented with several methods. While some utilization of metals may seem commonplace, many designers are using the unique texture in a whole new way. 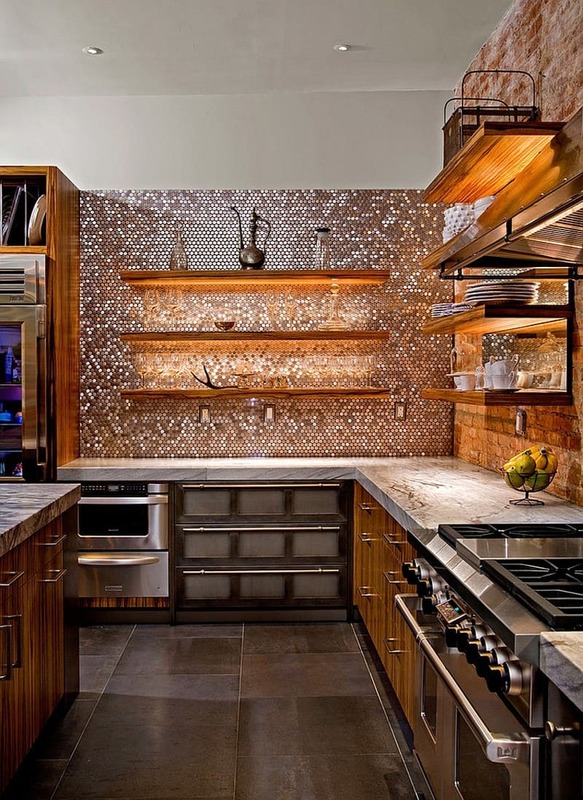 Cabinetry and backsplash, in particular, are taking this trend by storm. 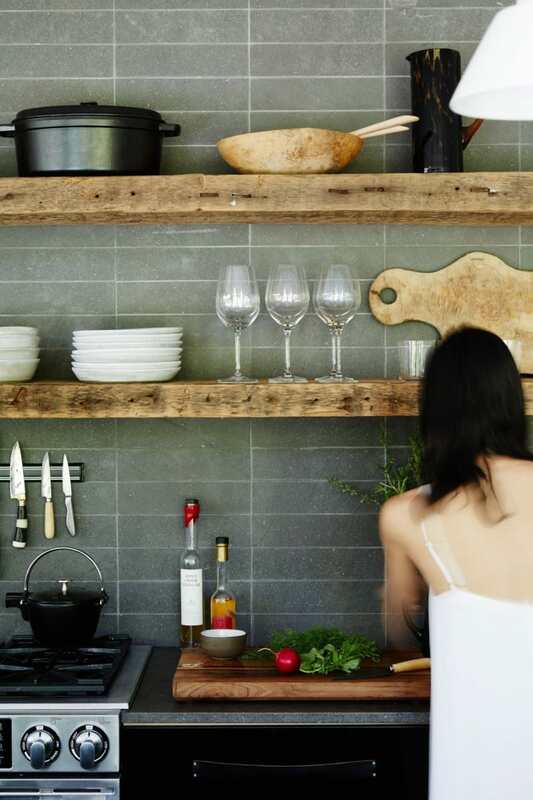 Metals are not the only texture coming into play with this years’ kitchen trends. Layering varying textures is becoming increasingly popular. With so many variables in texture choices in a cooking environment, it is not surprising to see this trend emerge. 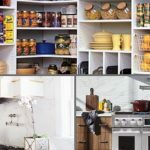 Moreover, you can incorporate inexpensive kitchen backsplash ideas for a trending look using not so common materials like wine bottle corks, pennies etc. 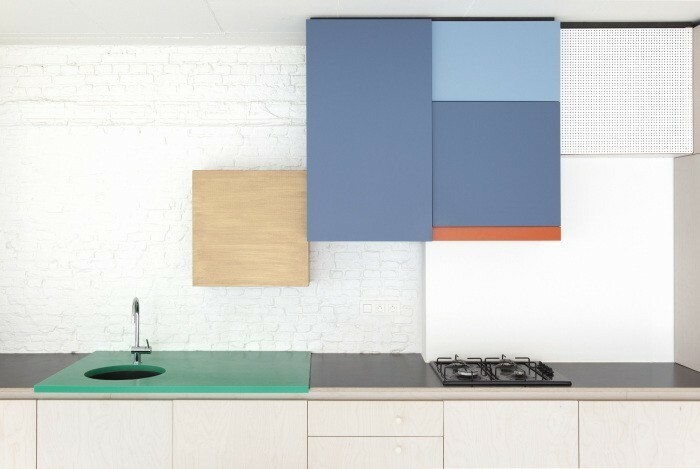 This trend involves the use of solid (blocked) colors in close proximity to each other. 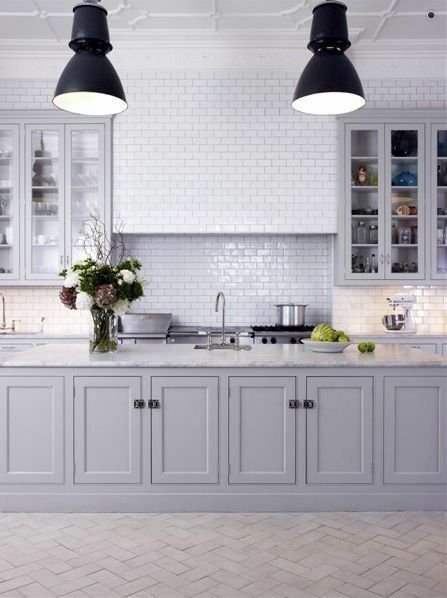 Often times this method is used in kitchens with white cabinetry to offset the brightness of the colors. Muted or desaturated colors can create a calming atmosphere. There are many ways to accomplish this trend. However, grey and off-white seem to remain the most popular colors. This is especially true for cabinetry. These have been chosen as Pantone’s 2016 colors of the year. Rose Quartz is a pale pink, and Serenity is a pale blue. 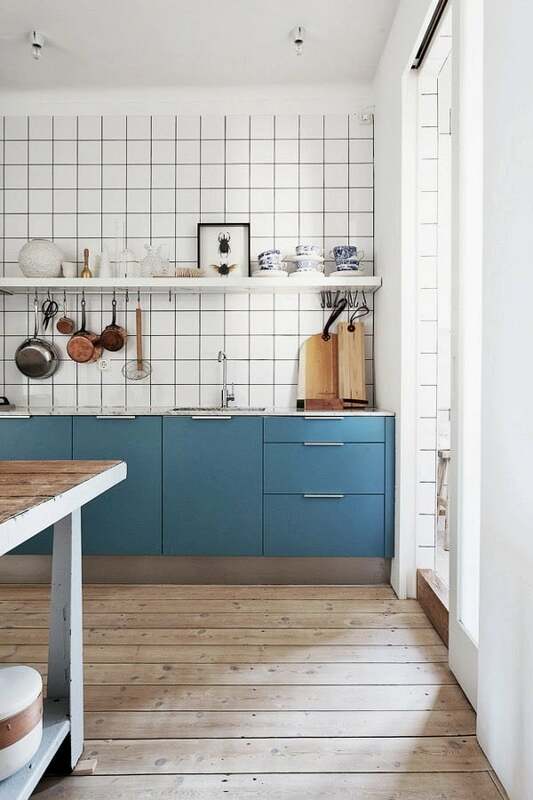 Both of these colors integrate well into several other kitchen trends, current and upcoming this year. According to designer Jamie Drake, author of New American Glamour, incorporating bold colors in kitchen (with moderation) will make a statement without overpowering the room. 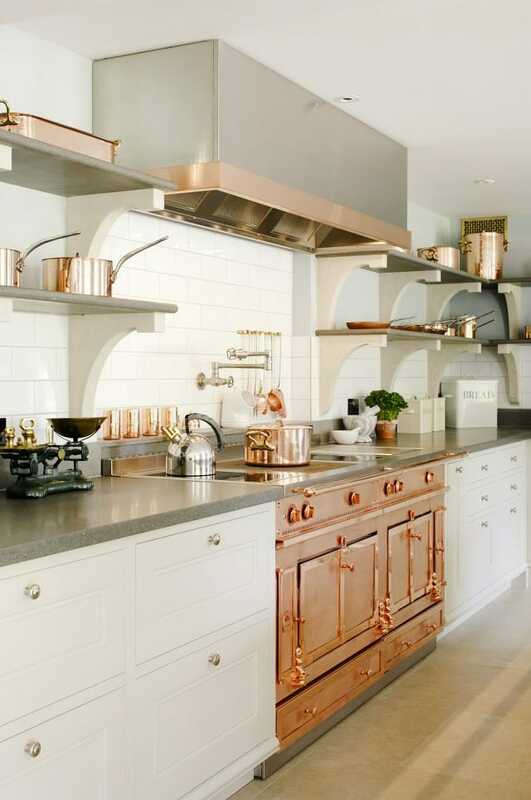 Since most kitchens are basic such as white, black, silver etc, adding colors like Aztec clay colors — such as copper, henna and ginger — as well as gold tones, are popular options. 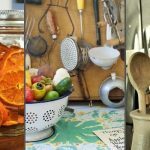 Moreover, according to Jamie, an example would be to frame a stainless-steel sink with a burnt orange or fire-engine red countertop, or inlay hot pink or chartreuse tiles around coffee-colored cabinets. This cabinet door style is known for its’ beautiful traditional simplicity. Shaker is considered to be a timeless cabinet door style, and will most likely remain popular for years to come. Frameless cabinet doors, also known as European doors, are continuing their popularity into 2017. Their flat panel doors make for easy accessibility and a clean appearance. 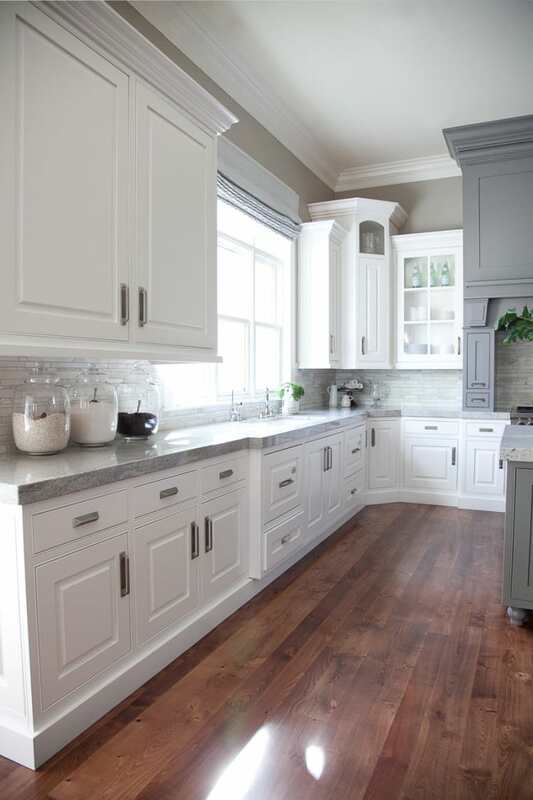 Contrasting two or more cabinet colors or stains can create a highly unique look in any kitchen. There are endless possibilities. Whether it’s for decoration or easy access, exposed shelving is remaining a popular alternative to wall cabinetry in 2017. 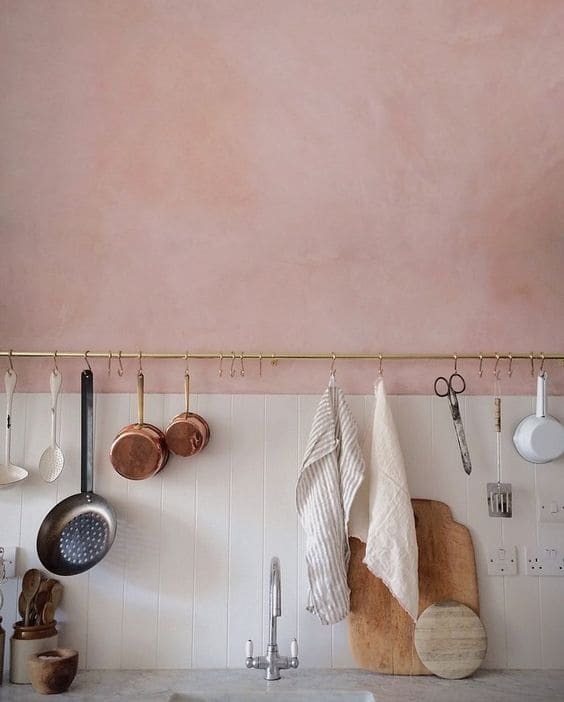 The style of shelving and décor can be tailored to the style of the space, making this trend a great option for any kitchen. While many of these trends focus on style and form, this trend is all about function. 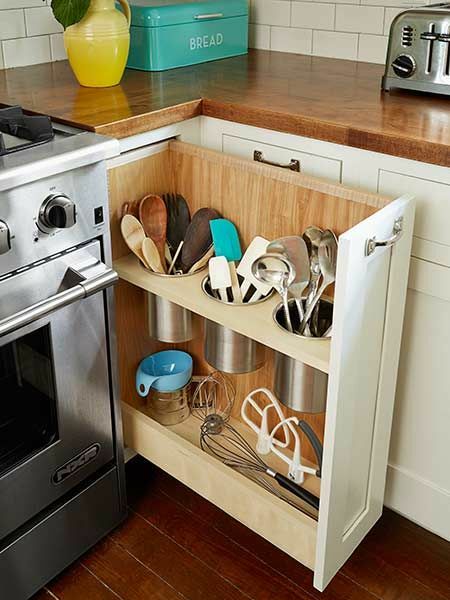 Cabinet add-ons can help make cabinet storage easier to access. They can also keep things organized without a fuss, increasing efficiency and using storage space to its’ full potential. Hidden charging stations and outlets for tablets, phones, and other electronics are up and coming as well. 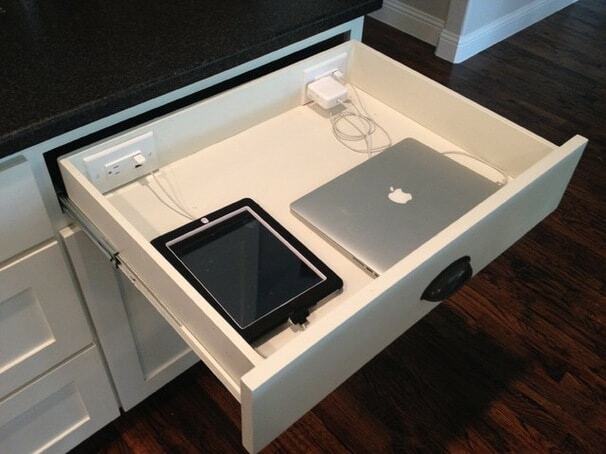 This is a great way to keep charging electronics out of sight and organized. 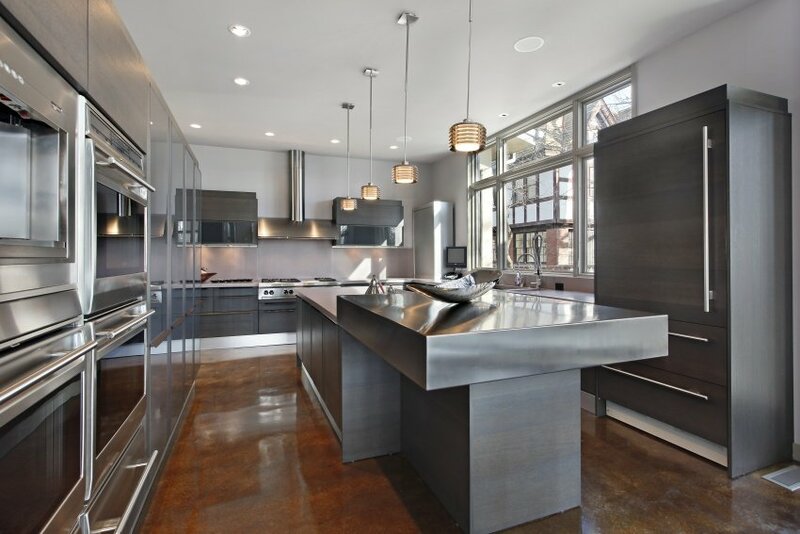 Quartz is moving up the ranks in the world of solid surface countertops. 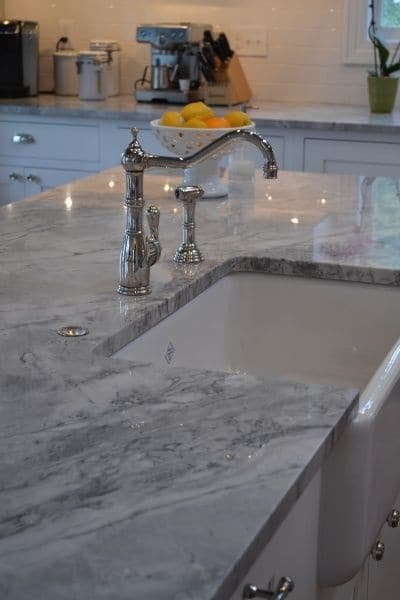 Unlike granite, it does not need to be sealed, making it a lower maintenance alternative to granite. 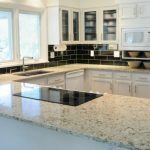 Although quartz is pushing ahead when it comes to convenience, granite continues to be a popular option for large luxury kitchens countertops. Colorful appliances are one of 2017’s most exciting kitchen trends. There are so many options, and the possibilities are endless. 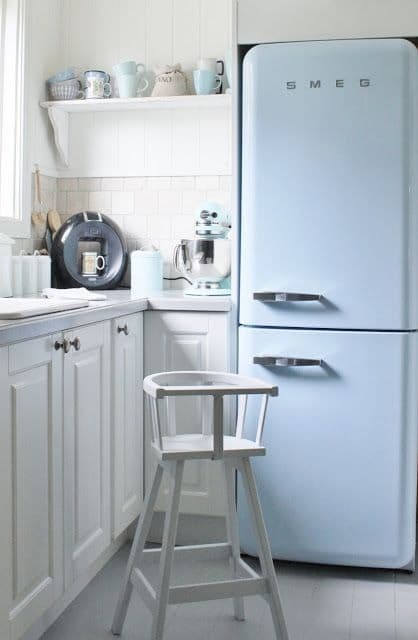 Adding bright pops of color is a great way to liven up any kitchen décor. While built-in appliances have been popular for quite a while, they will become even more of a hit in the current year. 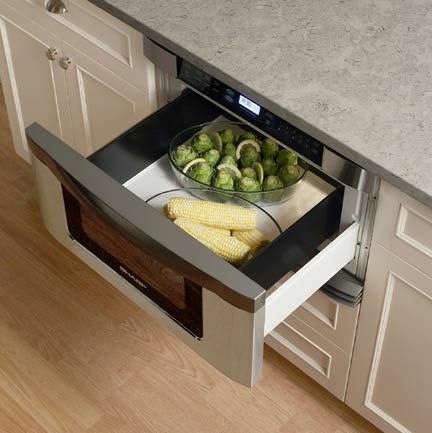 Wall ovens, microwave drawers, built-in refrigerators, etc. This is a great look. There is certainly talk that black stainless might even become more popular than original stainless steel. 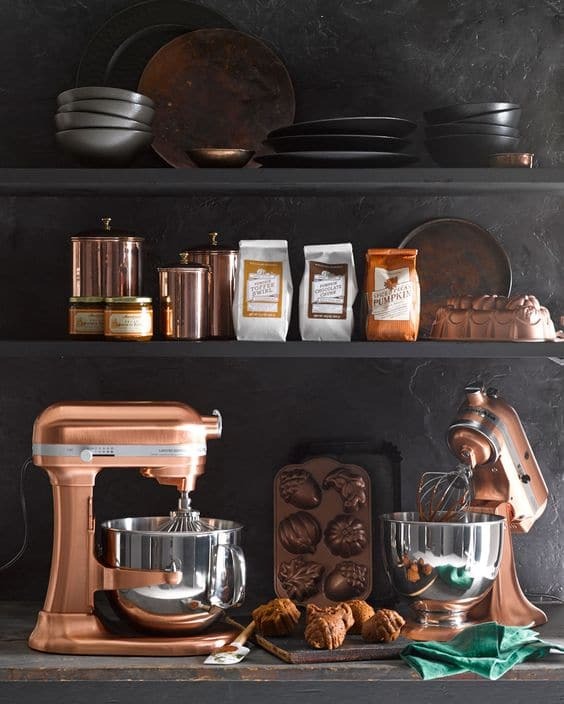 Rose gold (or copper color) is a beautiful alternative finish for both large and small appliances. This trend also ties into the metallic finish trend. 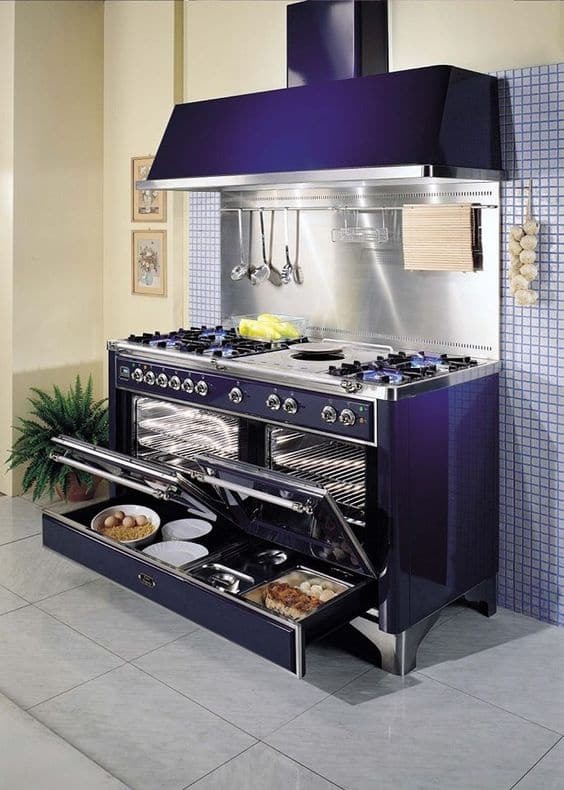 I like the stainless steel and colorful appliances ideas. 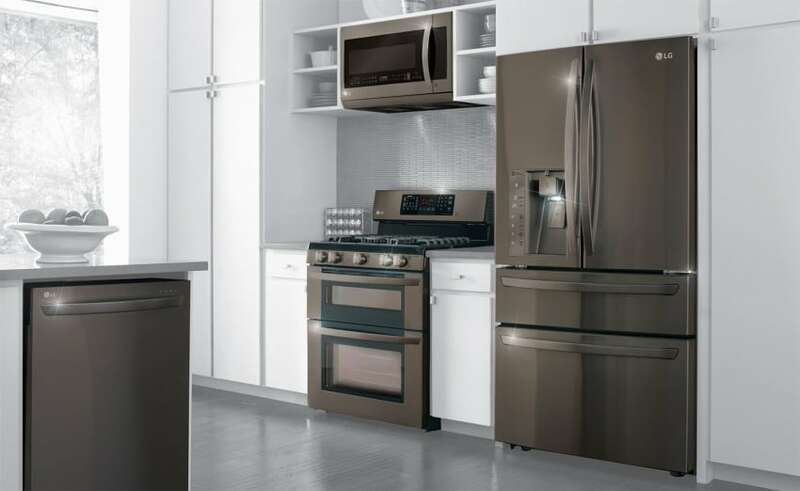 Mixing metal to you kitchen appliances is trending these days. 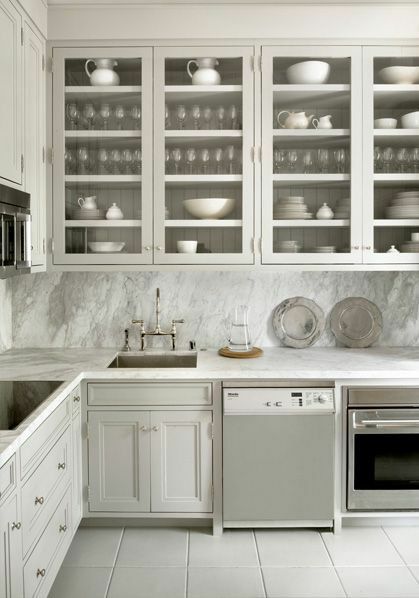 I’m having my kitchen remodeled this June and thinking of adding two-tone kitchen cabinets. 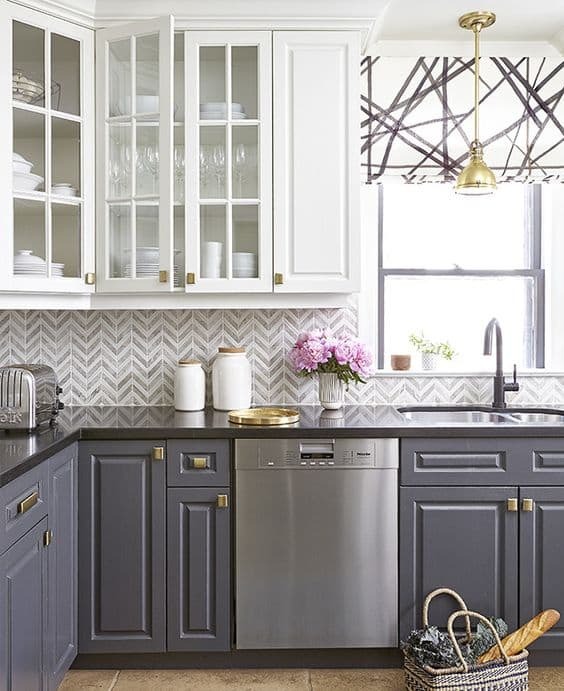 I’m opting for Eurostyle cabinets for my kitchen and with the addition of mixed metal since I’ve been eyeing copper pendant lights for my kitchen and oil rubbed-bronze knobs for cabinets for so long. could I have your number. I need a counter top. Sorry Thai, we don’t sell counter tops. I’ve liked the idea of adding black stainless appliance to kitchen. 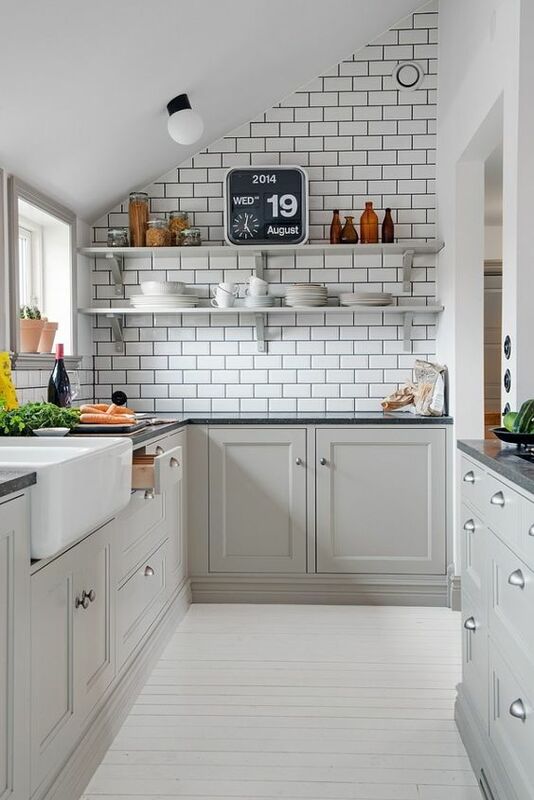 With solid wood cabinets, adding subway tiles backsplash or Geometric tiles are also trending. That quartz countertop looks amazing. Will you share the name of it, and from what company? Unfortunately I don’t have the specific details for that countertop you want. Sorry about that. We just bought a black stainless kitchenaid fridge, currently have oak cabinets and chocolate brown feature wall with other walls cream! Need to update the paint for sure, can’t find paint colour that I love and I won’t paint walls sage green! Do I paint my cupboards???? Kitchen designing is one of the important part which can reflect the lifestyle of your home. 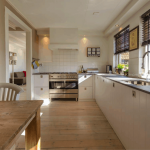 So it is important that you have to select the best kitchen design and style. 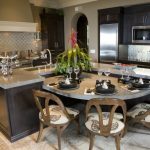 Due to the advancement of technology there are so many new kitchen design trends are available and among them you have to choose the best one. 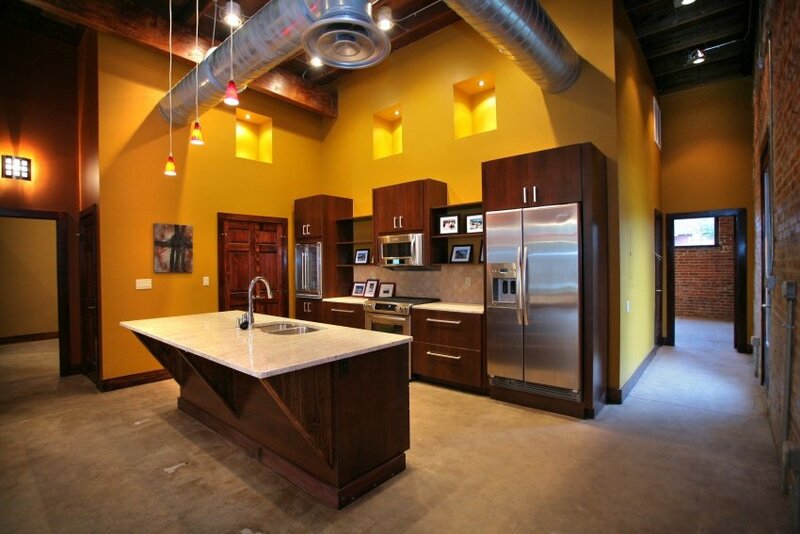 To know more about the kitchen remodeling you can take the advice of a professional contractor. Thanks to you that in you give the basic idea about the kitchen design trends. Some great information and pictures here, really enjoyed the article thanks.